- Qi, L singled down the rf line (1-0 B). - Draper, V singled to third base, bunt (0-0); Qi, L advanced to second. - Huan, L out at first p to 2b, SAC, bunt (1-1 KB); Draper, V advanced to second; Qi, L advanced to third. - Jia, C flied out to rf, SF, RBI (2-1 BKB); Draper, V advanced to third; Qi, L scored. - Min, R grounded out to ss (2-2 BFSB). - Robinson, S popped up to 2b (1-1 BS). 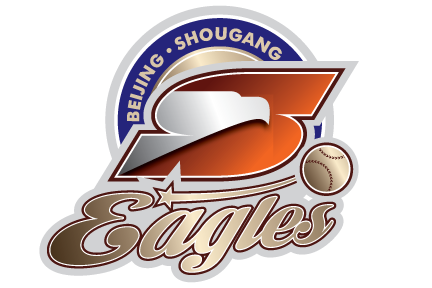 - Huaining, Y singled to first base (2-2 SKBFB). - Peterson, A struck out swinging (1-2 SKBS); Huaining, Y stole second. - Rhodes, J grounded out to 1b unassisted (3-2 SBKBBF). - Mengmeng, L flied out to lf (3-2 BFKFBBFF). - Jie, X out at first c to 2b, bunt (0-0). - Jia, X walked (3-0 BBBB). - Li Li, L singled to shortstop (0-2 FKF); Jia, X advanced to second. - Qi, L struck out looking (2-2 KBKBFK). - Mengyan, W to c for Jie, X. - Xun, S struck out swinging (1-2 BFSFFS). - Miller, C struck out swinging (0-2 FKFS). - Yue, X lined out to lf (0-0). - Draper, V grounded out to ss (0-1 K). - Huan, L grounded out to 2b (0-0). - Jia, C grounded out to c unassisted, bunt (0-0). - Xinyue, J struck out swinging (0-2 FKS). - Yao, L struck out swinging (1-2 KSBS). - Robinson, S homered to left field, RBI (0-0). - Huaining, Y out at first p to 2b, bunt (0-0). - Min, R popped up to 2b (1-1 BF). - Mengmeng, L flied out to rf (1-0 B). - Mengyan, W singled to left center (0-0). 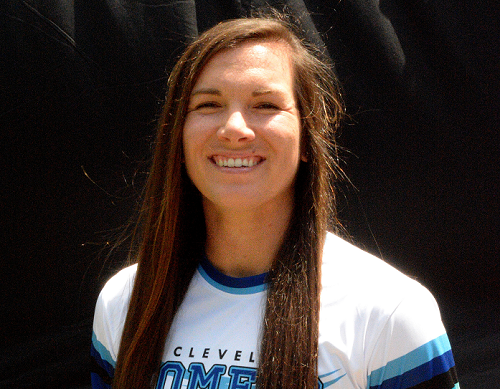 - Jia, X reached on a fielder's choice (1-1 SB); Mengyan, W out at second ss to 2b. - Peterson, A popped up to c (2-1 BKB). - Rhodes, J struck out looking (1-2 FFBFK). - Xun, S homered to left field, inside the park, RBI (0-1 F). - Miller, C singled to second base (0-1 K). - Yue, X struck out swinging (0-2 SSS). - Li Li, L popped up to ss (0-1 K). - Qi, L flied out to cf (2-0 BB). - Draper, V grounded out to 3b (1-1 BK). - Xinyue, J out at first 1b to 2b, bunt (0-0). - Yao, L doubled to left field (1-1 BF). - Robinson, S grounded out to ss (0-2 KFF). - Huan, L struck out swinging (0-2 FFS). - Jia, C singled to third base, bunt (1-1 BF). - Ying, L pinch hit for Min, R.
- Ying, L tripled to right center, RBI (1-0 B); Jia, C scored. - Mengmeng, L struck out swinging (1-2 SFBFS). - Mengyan, W struck out swinging (1-2 KSBFS). - Peterson, A reached on a fielding error by 2b (1-2 KKFFFB). - Rhodes, J singled to left field, advanced to second (0-0); Peterson, A advanced to second, advanced to third on a fielding error by lf. - Bunner, A to p for Lan, W.
- Xun, S flied into double play lf to 3b to c (0-1 F); Rhodes, J advanced to third; Peterson, A out on the play. - Miller, C struck out looking (2-2 BBSSK). - Jia, X doubled to first base (0-1 F). - Li Li, L singled to shortstop (0-0); Huiqi, Y advanced to third. 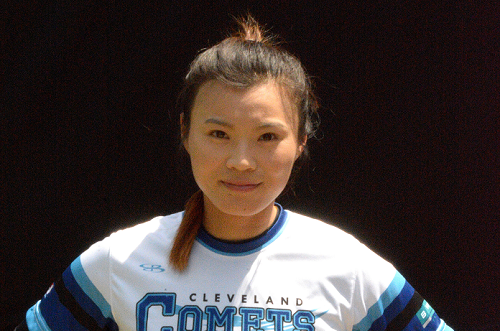 - Li Li, L stole second, advanced to third; Huiqi, Y scored on a throwing error by c, unearned. - Yining, L struck out looking (2-2 BSKFBFK). - Draper, V struck out swinging, out at first c to 1b (1-2 KBKS). - Huan, L struck out looking (1-2 KBFK). - Junyi, X grounded out to ss (1-0 B). Lan, W faced 2 batters in the 6th. Brown, D faced 1 batter in the 7th.